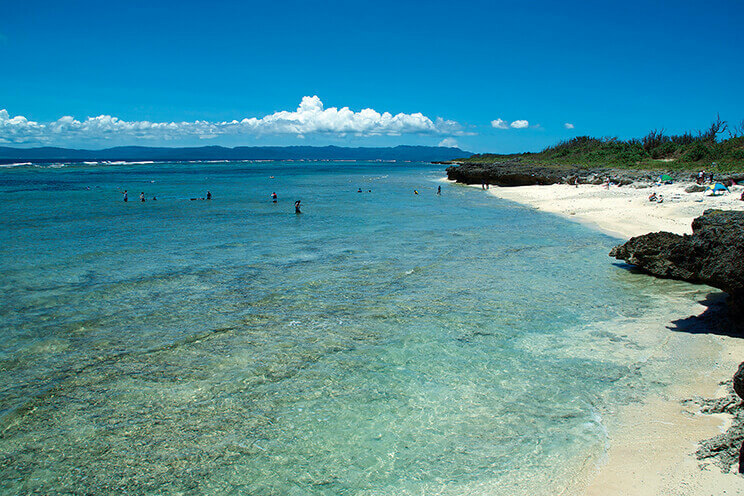 Kuroshima Island, located 18.5 kilometers to the southwest of Ishigaki Island, approximately 30 minutes by way of a regularly scheduled liner from the Ishigaki Port Outlying Island Terminal, is also known as Heart Island because the shape of the island resembles a heart. 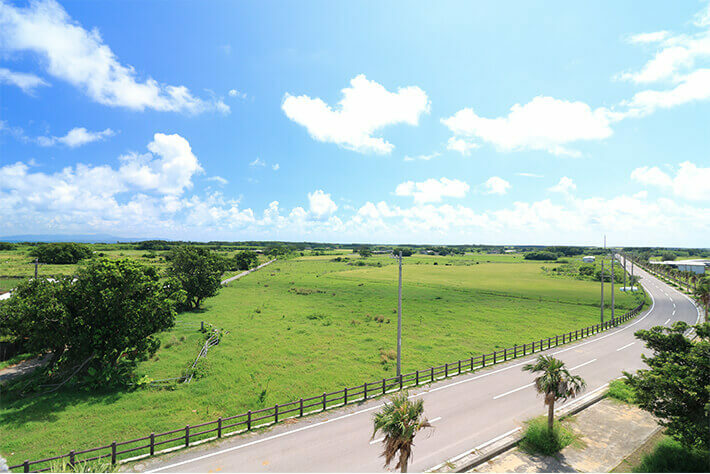 Surrounded by coral reef and ideal for diving and snorkeling, Kuroshima Island is not only known for being a nesting ground for sea turtles, but is also famous for the fact that there are more cows than islanders. You will find cows roaming leisurely in the meadows that spread as far as the eyes can see. The time passes by more slowly on this island. 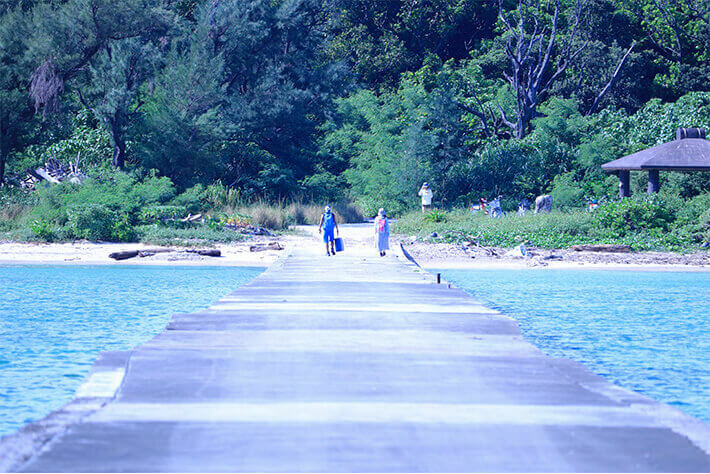 Because of its flat topography, we recommend taking your time cycling around sightseeing spots such as the Iko Pier. 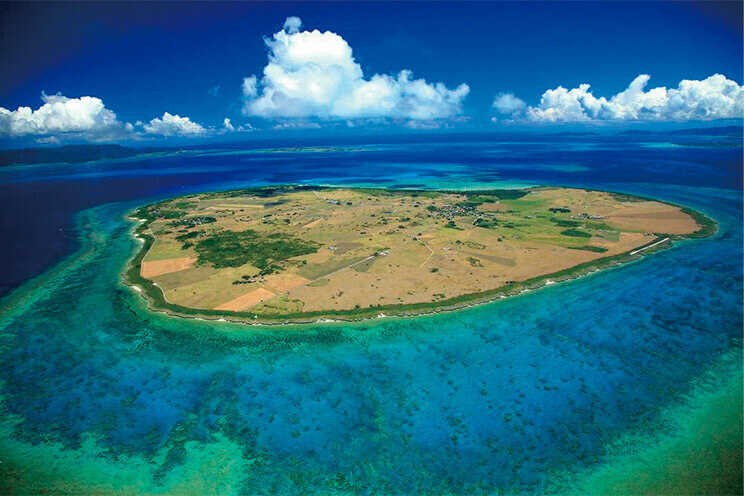 Because the shape of the island resembles a heart, Kuroshima Island is also referred to as Heart Island. Kuroshima Island has a perimeter of 12.6 kilometers with few hills on its terrain, and you can see many people getting around on bicycles throughout the island. You can reach the Nakamoto Coast that stretches on the west side of the island in roughly 10 minutes by bicycle from the Kuroshima Port. 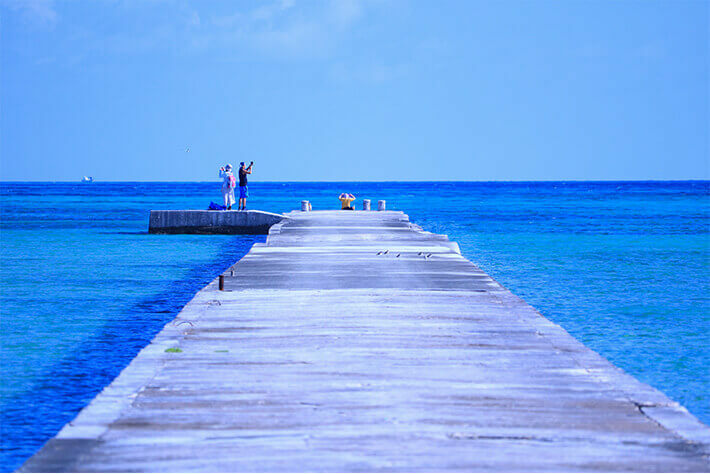 At low tide, the inside of coral reef turns into what appears to be a natural pool, allowing you to swim comfortably, which is also a famous spot for snorkeling and diving. 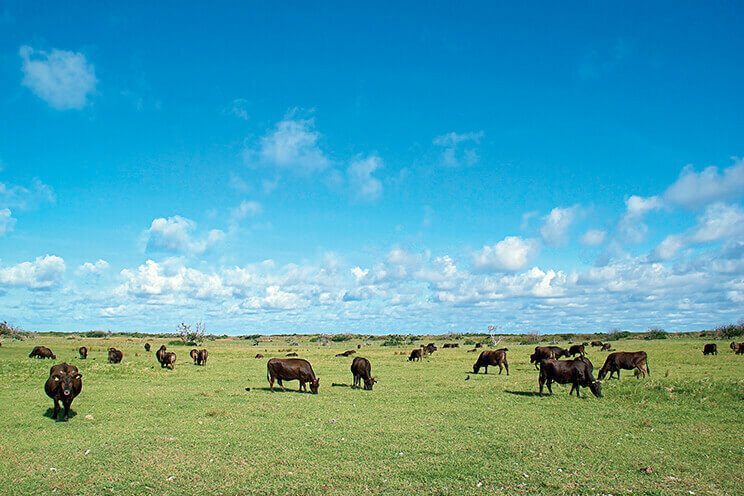 On Kuroshima Island, there are approximately 3,000 cattle roaming the land freely, which is about 13 times the human population of the island, and the herds of cattle can be seen peacefully grazing on the ranch. 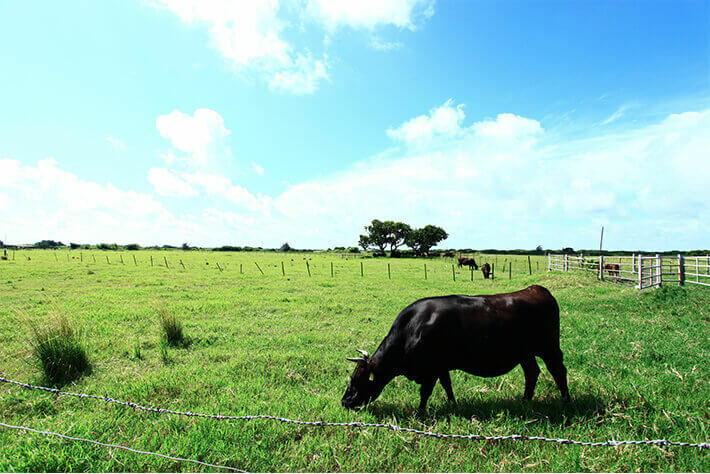 There is also the Kuroshima Island Cow Festival, which takes place at the Kuroshima Island Multipurpose Square near the Kuroshima Island Port on the last Sunday of February each year. This is the largest event held on Kuroshima Island, with many people traveling to the island every year looking forward to games and programs unique to the cattle island, such as a lottery to win a cow. 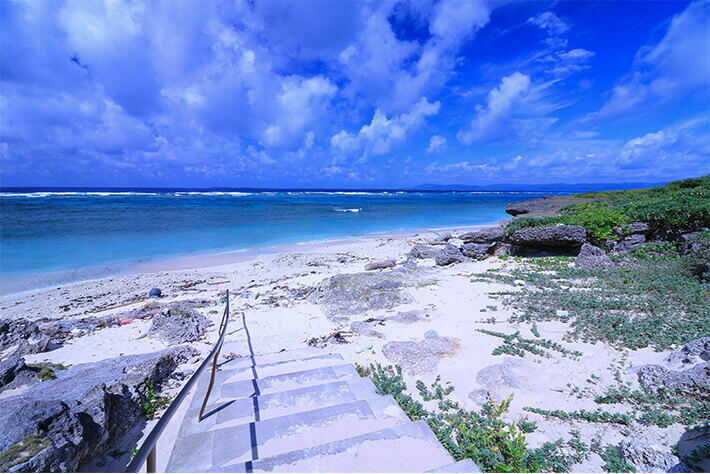 Kuroshima Island is the only island in Japan where all three species of sea turtles confirmed to lay eggs in Japan (loggerhead turtle, green turtle, and hawksbill turtle) go to lay eggs. You can learn about the ecology of sea turtles in detail at the Kuroshima Island Research Station on the island. The sea turtles come ashore at night to lay eggs from May to August of each year on the white sandy beach of Nishi no Hama, which is roughly five minutes from the Kuroshima Port by bicycle.